The theme for Day 16’s Advent Calendar of Christmas Memories was Christmas Travel: “Over the river and through the woods” as the song goes . 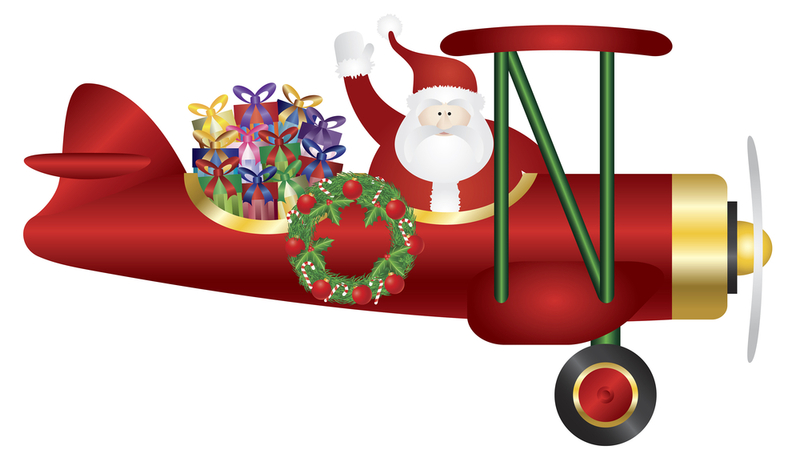 . . Christmas time can often mean travel home or meeting up with family at a special destination. Do you remember traveling back home for Christmas? Were there any trips that standout in your memory? What methods of travel have you used to make the trip home? I first wrote on this topic in 2011 in terms of my childhood Christmases, and one special one Mr Cassmob and I made in 1992. Since our children reached adulthood, Christmas travel has pretty much fallen to them. My first thoughts were that we’ve been fortunate to mainly have them all around at Christmas time but when I tallied up the absences I was surprised that there’d been an unavoidable few. Thanks to technology we’ve been able to Skype the missing person in recent years, with calls to Africa or Italy, but back when our youngest was doing her Aussie-ritual year abroad in Hook Norton, we had to suffice with phone calls. Calls also had to suffice when DD#1 and DD#2 celebrated Christmas Day in New York. It was hard to feel sorry for them when they had Christmas lunch at a restaurant overlooking the Rockerfeller Plaza ice rink then went to Central Park. They even had Darwin friends who they met up with so weren’t on their Pat Malone (own). Our home gatherings have involved very long drives or long flights for whoever is the farthest from the bulk of the Cass mob, now concentrated in Darwin. One year the shoe was on the other foot and we took a driving trip to Tasmania where we met our eldest daughter and had a delightful Christmas on the gorgeous Freycinet Peninsular. It was chilly but sunny and we were able to go for a short drive to the magnificent beaches nearby. 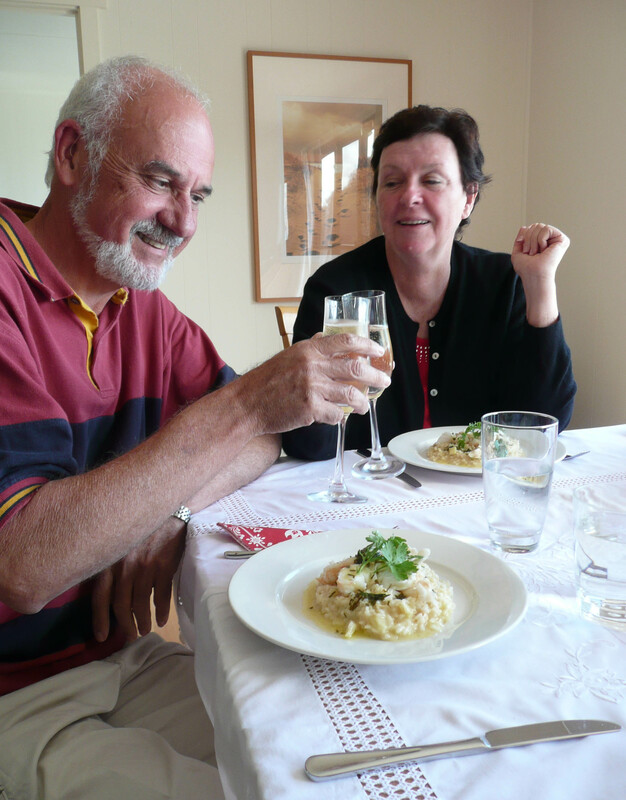 Tassie is also noted for its fine fresh produce and wine, so we had a splash-up Christmas meal with Tasmanian bubbles, lobster, prawns and scallops bought from the fish co-op the day before and fresh-from-the-vine raspberries and blueberries. DD#1 was the chef (I was the sous-chef) so we had a fabulous meal of lobster risotto with a starter of scallops on cauliflower puree. Delizioso!! Oh, yes, this is supposed to be about travel not food! Only once have we been home alone as empty nesters, and that was our first year in Darwin. We coped quite well and thought in future we’d volunteer to serve community meals. So much for our good intentions, as never again have we been alone. While we’ve travelled close to Christmas, we’ve always made sure we’re home for the big day (excl Tasmania). As Darwin is so far from many people’s homes, we’ve also included friends who can’t make it home to family for the holidays. This Top End tradition is about sharing the joy with the so-called “orphans”. When it’s not too hot, there’s been the chance for cricket or the pool. 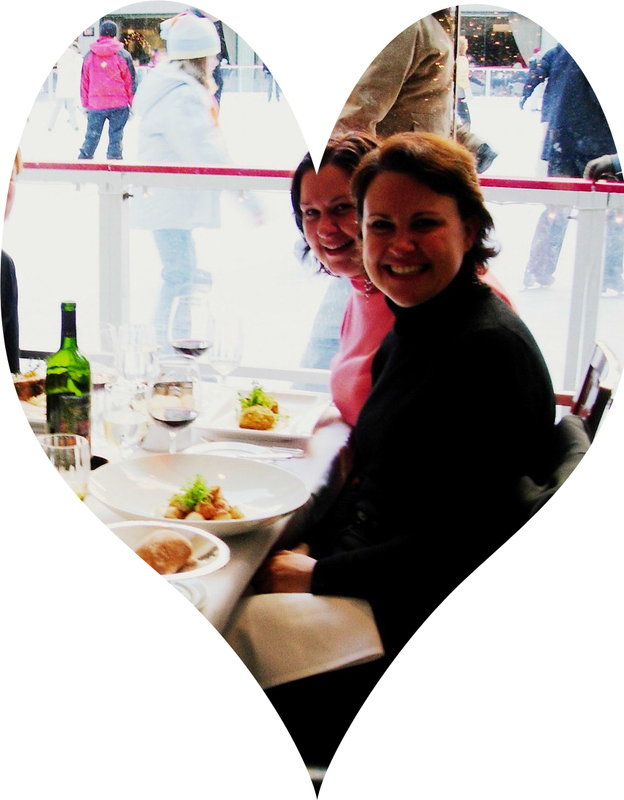 However back in 1989 my youngest daughter, my mother and myself travelled to Europe and Christmas was spent in Lucerne. Calls home to the family didn’t really cut it for us and it was sad to be so far from them. Not one of my wisest decisions for a variety of reasons. So there you have it, planes and cars for our distance travel but no boats and trains, unless you count the ferry to Tasmania. 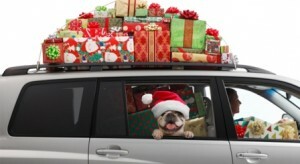 In fact sometimes our car can look like this one just travelling across town with gifts and a stash of food. This post is part of the Advent Calendar of Christmas Memories (ACCM) which allows you to share your family’s holiday history twenty-four different ways during December! 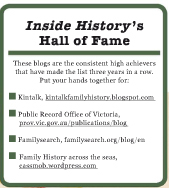 Learn more at http://adventcalendar.geneabloggers.com. You can see the posts others have submitted on the Advent Calendar Pinterest site. The prompts for the Advent Calendar’s Christmas Music topic are: Christmas carols, church music and even more modern novelty songs are all a big part of our Christmas memories. What songs were your favorites as a child and are they still your favorites or do you have new ones? What about your parents or family members – were there certain songs or types of Christmas music played during the season? And how would you describe the type of Christmas music you like? My grandmother owned a gramophone (which I’ve now inherited) but I don’t recall her having any Christmas music for it – perhaps that was to do with her more serious Presbyterian upbringing. I guess we listened to carols on the radio but to be honest I have no clear memory of doing so. It was at church where carols were sung, old favourites like Adeste Fidelis and Silent Night.…there wasn’t a lot of musical diversification, and the very religious hymns were the staff and clefs of Christmas music (well I couldn’t say bread and butter, now could I?). Nor did we have a parish choir to lead us, in contrast to the rather grand choir we heard at Christmas Eve Mass in Lucerne in 1989. The rise and fall of voices and the grandeur of the organ were a huge contrast to our usual experiences. Another form of music happened after Mass, as well as on Christmas morning. The pealing of bells around the lake is a distinctive memory which seems to fit perfectly with a winter’s day. In Australia church bells are rarely rung, and I suspect there’d be riots if the bells pealed across the night sky at Christmas. Mum was always a great one for singing around the house so I guess that would have happened at Christmas, yet I don’t remember it specifically at Christmas – perhaps just the fabric of day-to-day life. I was pleasantly surprised to learn that she’s just been taking part in the choir at the retirement village where’s she recently relocated. Unfortunately I didn’t inherit her singing voice but at least I knew the rhythm and words, unlike Dad who was tone deaf. When I passed Junior (Year 10, aged 14) I was given a portable record player as an achievement present. This opened up our musical repertoire and I remember clearly hearing Oh Tannenbaum for the first time and being thrilled that I could make sense of some of the words, thanks to my German classes. It was a thrill to be able to listen to whatever music we liked whenever we liked. Mum was particularly fond of Bing Crosby’s White Christmas. 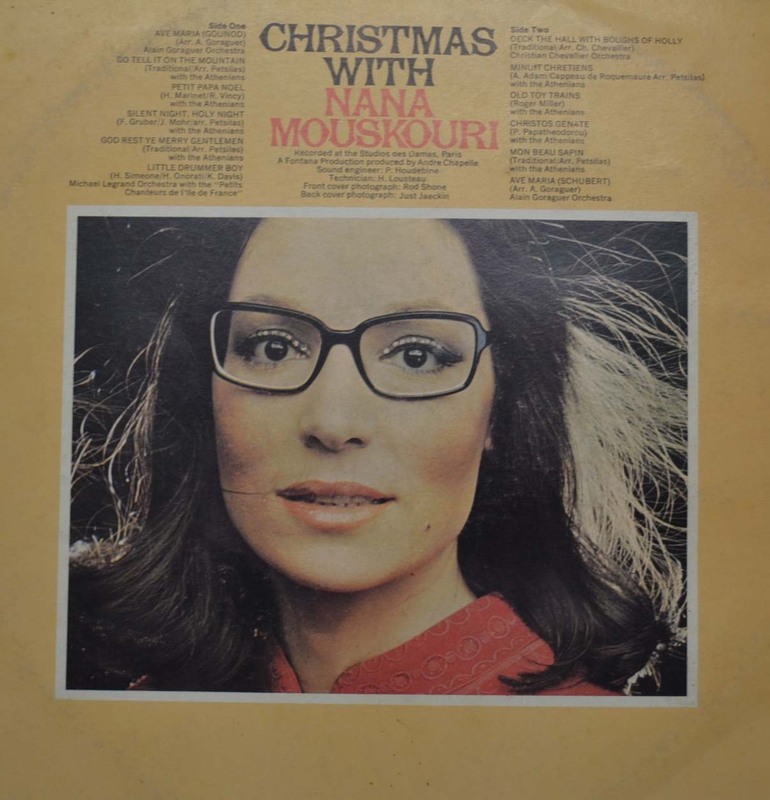 One of our earliest Christmas LP purchases as a married couple was Nana Mouskouri’s Christmas record and I fell in love with Little Drummer Boy and Mary’s Boy Child. Feliz Navidad entered the family’s music lexicon quite a few years later and I love its exuberance and sense of celebration. In some respects my Christmas music preferences have reverted to their origins. My favourite music is now the Hallelujah Chorus from Handel’s Messiah, Joy to the World and serious choral performances like the album we have of the Oxford Boys Choir. We store our Christmas CDs with the decorations, so once the tree goes up (which will happen this weekend) we will bring out the CDs as well and start playing them. The two go together because our family tradition is that carols must be played as the tree is decorated. 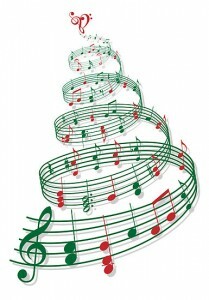 If you’re interested you can find my 2011 Christmas Music post here. The questions that year were slightly different so it has a very slightly different spin, appropriately for music. 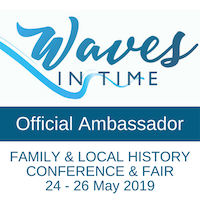 This post is part of the Advent Calendar of Christmas Memories (ACCM) which allows you to share your family’s holiday history twenty-four different ways during December! 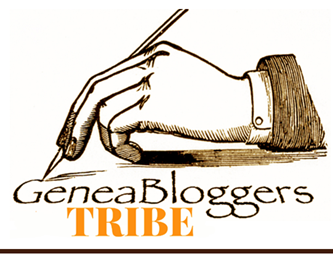 Learn more at http://adventcalendar.geneabloggers.com.